Subscription email management is messy and time consuming. Dealing with so many emails, you constantly run the risk of missing out on key information. 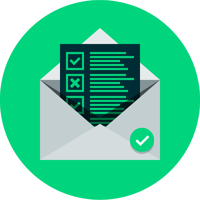 Vable Inbox offers a clean, simple way to manage all email subscriptions, be they from third-party providers and from within your organisation. 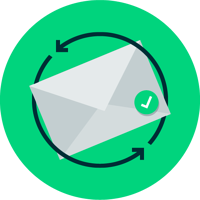 Centralising all email content gives your team the oversight to optimise information delivery, whilst saving you time and money. As an add-on to InfoPro, information from emails can also be extracted and fed into the platform as a source. See all your subscriptions together in one place. This improves their visibility so you can ensure everything is running smoothly. It also facilitates working together as a team. 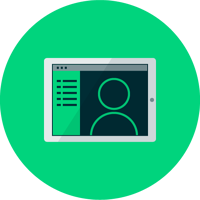 Simply pick up where your colleague left off - no more forgotten passwords, lost login details or misplaced lists. Instead, Vable Inbox offers a single location from which to manage each and every subscription email. When users are removed from the platform, they are automatically removed from email lists. 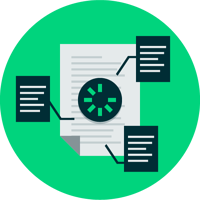 This keeps your records accurate and eliminates the need to update subscriptions individually, saving valuable time - especially useful when there are a limited number of licences. If your organisation has Active Directory synchronisation with Vable, this process can even be automated. Make sure that you’re getting the most out of your subscriptions. Vable can track email opens and click-throughs on links within emails, allowing you to see what is being used heavily - or not. Now you can make data-driven decisions when gauging the value of subscriptions. Also, Inbox quite simply saves you time - and time is money. Make use of valuable content from emails by combining Inbox with Vable InfoPro. Articles or sub-sections from incoming emails can be extracted and fed into the platform, allowing it to be indexed, searched and reused in any of your alerts or newsletters. This is particularly useful for specialised publishers whose content cannot be found in traditional web formats. 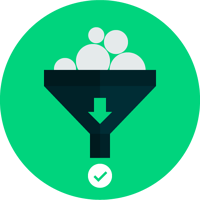 Most email redirect solutions simply forward emails onwards to end users; Vable Inbox gives you direct control over the content you redistribute. You can edit subject lines, headers and footers to improve the email's visual feel and content relevancy. Similarly, you can remove sections, such as unsubscribe links or subscription preferences, to make your message clean and to-the-point. Best of all - it's automated! Vable Inbox’s dual flexibility gives you different presentation options. Redirected emails are cleaned up and viewed in their original format whereas extracted content can be included in a consolidated, firm-branded newsletter. Usage statistics will be consistent across all email subscriptions, regardless of which publisher they come from. This eliminates the often painful experience of having to manipulate the data (where provided) from publishers all into a single, coherent report for management. We make use of the handy Vable Inbox solutions to manage our incoming alerts and news emails. Vable has taken a lot of the pain and time-consuming manual process out of providing our essential Current Awareness services. Vable Inbox allows you to easily keep dozens, maybe hundreds of employees informed with content that is pertinent to them specifically while reducing the “white noise”, redundancy and content overload.